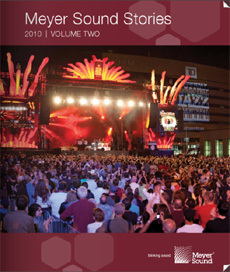 This volume has us visiting montreal, Mexico, Egypt, Dubai, Macau and Denmark. Many of the stories are great showcases of how high-resolution sight and sound can be seamlessly integrated to create an unforgettable and engaging experience. We look at the 4D cinema theater at Madame Tussauds London, the 360-degree Bubble Theatre, the multimedia spectacle at Edfu, and the always amazing Cirque du Soleil.